After the 2016 presidential election the constant stream of intolerance and hate has made it difficult for many artists to produce work (and have been collecting pitchforks and torches instead). Still, the mark of a true artist is they need not a vocational requirement to make art, its simply what they do. Storm Tharp is one of those artists and he has been busy. 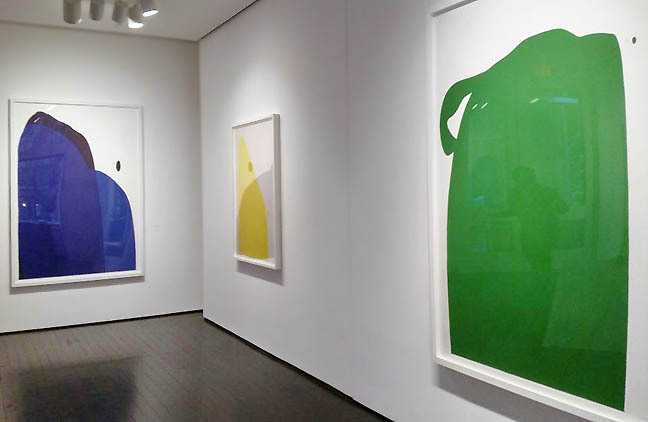 This work, provides the viewer room to breathe as well as vent... a series of large scale prints, it is very different from anything we have seen from him before, though the lumpy forms do evoke his sculpture... recalling the work of Morris Louis and Ellsworth Kelly it is surprisingly Apollonian. In particular I like the way the text based work melts words into form... as the shape of meaning can be either generous or oppressive Tharp lets the words sing and sting without being oppressive. Sadly it is the last show for Una gallery at the Everett Station lofts but they have provided a needed haven to see emerging POC and queer work. This last show Portland in Color is a fitting photo biography. 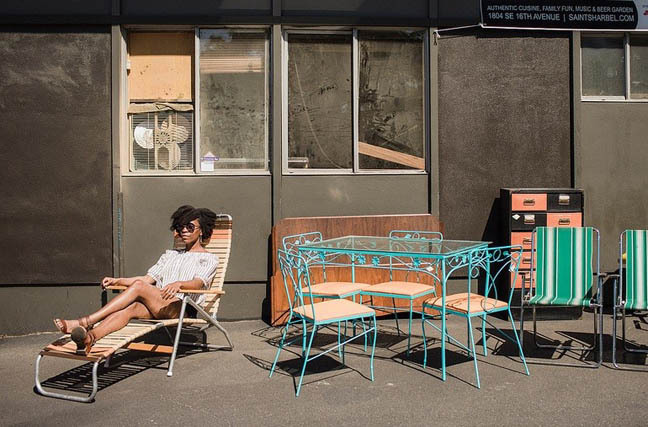 "Since the summer of 2017, Celeste Noche Photography has been collecting the stories and experiences of creatives of color living in Portland, through the photographic blog series Portland in Color. The project is simple and honest in nature, yet yields vulnerable and empowering portraits of artists actively creating and organizing in a town deemed the whitest city in America." 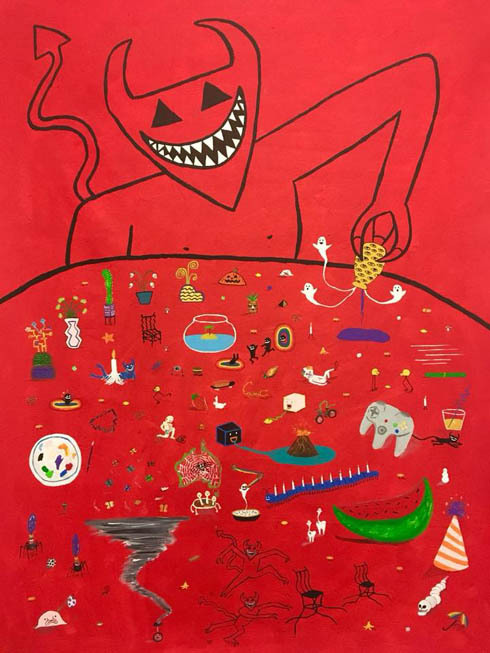 Taj Bourgeois is one of the most talented young artists working in Portland.... with that said his latest, "Fabulous Oceanscapes New Paintings By Taj Bourgeois & Kyle Lee" should be on your list (I dont know Kyle's work, but I'll check it out).